As an artist, you may need a drawing tablet to enhance your hobby or professional work. We know that the markets filled up with different drawing tablets and becoming difficult for you to find one that suits your personal needs. Drawing tablets are available in different brand names, sizes, and shapes with different capabilities and can make you feel confused! That is why our editor’s choice of the top 10 best-drawing tablets is sure to please you. You will find one to help you with your drawing, painting, and writing and will even be able to upload your work to share your digital art with friends, family and important people see your work. They are suitable for kids and help them to learn the basics of drawing and encourage them to become creative. Below you will find a complete list of the best drawing tablets available on the market. You will find one that suits both your budget and your needs. One thing that is becoming more demanding these days is digital art. Have you ever tried drawing with a mouse on your computer screen? If you have, you found it very difficult and demanding, as it is a tedious task as your wrist is flat and dragging the mouse around is not easy. With prolonged use, your wrist eventually starts to cramp but with a drawing tablet, it makes your life a little easier. Why as you normally receive a stylus with it in a pen shape. They are comfortable to hold and give you more precision than using a mouse. Most graphic tablets have different levels of sensitivity compared to the mouse that only has two levels. They are great when you need to work on detailed imaging, especially when it comes to editing. They are great to use for blending colors, applying retouching techniques and adding effects. With the stylus in your hand, you can move it around as if you are holding a pen in your hand. This gives you control with every stroke you make. They help you to sketch and paint while using Photoshop giving your work a natural appearance. You can buy different brands and models online the only thing you need to do is decide which ones made for you. Stay a bit longer and find out what our drawing tablet reviews have to offer you! One of the biggest brand names available on the market is Wacom. If you need the best experience when using a tablet look at the Wacom Intuos Draw. This is a perfect option if you are in need of buying quality and the great thing is that the device is suitable for beginners. The Wacom Intuos Draw is compatible with most programs such as Photoshop, but comes pre-loaded with ArtRage Lite. The software is easy-to-use for drawing and sketching. You get online tutorials to help you with your draw, doodle and sketching. Included with the draw pack you receive a free metal photo print. Even the stylus is battery free to use and you can customize it to create shortcuts. All you need is your PC or Mac the USB cable plugged in and you are ready to go! Register your product, download the software, and set it up to use for your left or right hand. If you are able to afford it the Wacom Cintiq, 13HD is one of the best drawing tablets available. The device has a large interactive display screen. With the combination of the sensitivity found in the unit and display of the computer tablet it makes for the best tool when held in an artist’s hand. What makes the Wacom Cintiq 13 HD so unique? With the display being very interactive when used, it works as a second monitor. This allows you to draw as if you are drawing with a pen and paper as it sends the images directly to the program. Another nice thing about this model is that you can buy them in two different screen sizes one is 13HD with or without the touchscreen or the 22HD with or without a touchscreen. With the high-resolution 13.3-inch screen, it displays at a resolution of 1920 x 1080-pixels. The device has four customizable express keys while the included Rocker ring gives you fast access to your most-used shortcuts. You can use this model left or right handed and can use it flat, on your lap or attach the stand. With the Pro Pen, you have different pen pressures you can use 2,048 levels to be exact. When you look at the Huion H610 Pro, they have really hit a home run with this one. For the price range, the H610 Pro has 2048 levels of pressure sensitivity. You even get a rechargeable pen and save you loads on keeping replacement batteries around. If you do not have a high budget to work with you can buy the Yiynova MVP22U tablet at an affordable price. The drawing tablet mimics the abilities the more exclusive products in the range have. With the large screen, you will be able to create masterpieces with ease. With the UC-Logic, technology used in the kernel tablet and is great for animation, illustration and to use in industrial design. With the flat glass surface, you can use the pen to complete different types of work. When buying the Yiynova MVP22U you receive includes a power adapter, snap-in pen holder, power cord, two pen kits that each consist of 3 nibs and a remover, the premium pen/pad holder, a VGA-to-DVI adapter, an HDMI-to-DVI adapter, one mini display port-to-DVI adapter, a pair of artist gloves, user manual and installation CD. One of the most high-powered Ultrabooks is the Microsoft Surface Book. The device has a mind-blowing processing speed with an Ultra High Definition screen. If you are, an artist that wants to use your laptop for drawing this model is the one to have. What is the Microsoft Surface Book? The Microsoft Surface Book is a tablet and laptop in one and runs on the Windows 10 version. Therefore, you can easily install Adobe Photoshop on it. You can currently buy the device on its own or with a Surface Dock. The tablet/laptop is suitable for designers and engineers to help them with their work. With the latest technology available on the market, convenience is high on the list. You can easily see this in the Apple iPad Pro. You do not need to decide whether you need the best drawing tablet or a laptop as you can have both in this model. Apple has improved on the concepts of this tablet/laptop design. Designed for the digital artist the device has hundreds of drawing apps available for you to download at the Apple store free. With the iPad Pro, you can touch, write, draw, and swipe the screen. You can buy the tablet in two screen sizes 9.7-inch and 12.9-inches. Now you can even work faster as the device has up to 1.8 times more CPU performance and packed with an A9X chip and suitable for editing 4K video. The units Wi-Fi connectable and you can even receive or make calls on it. 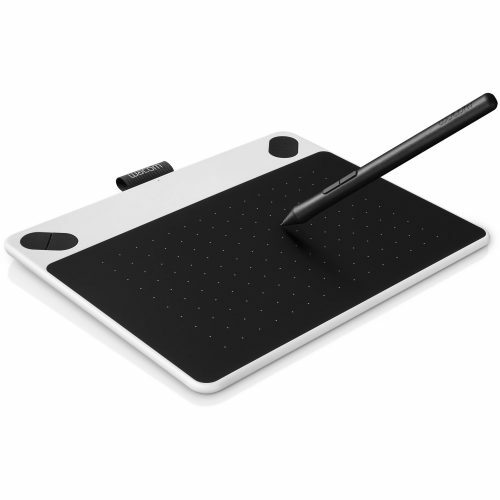 When comparing the best drawing tablets there are many of them that do not include the stylus. Nevertheless, when you look at the Lenovo Yoga 2 with AnyPen Intel Atom you see a completely different story. The device has an 8-inch Windows display screen with high-resolution display and long battery life. As an entry-level Windows tablet, you will note that it has the same design as many other Android-based tablets. The edge of the tablet’s round to give it a comfortable handheld feature and allows you to add a kickstand. With this type of edging, you can use it in your hand, use a stand with it, hang it, or tilt it. You can even use it with a keyboard and mouse. The tablet measures 0.85 x 8.25 x 5.8-inches and weighs 0.94 pounds. With the Yoga 2, you can use the touch screen with finger tapping and swipe. Nevertheless, what makes this device unique is the use of any pen or pencil to write on the screen. However, if you do not want to ruin the screen pen or pencil marks you can buy yourself a separate stylus. For the artist the Samsung Galaxy Tab A with S Pen is superb. The Tab has a large screen and amazing price tag. The great thing is that you receive included the Wacom digitizer that is superb for drawing. The Samsung Galaxy Tab A has a sporty design with a 9.7-inch display. The device weighs 1LB and has a width of 9.5-inches and height of 6.6-inches. Samsung has made the device with a plastic construction with rounded edges. On the right side of the device, you have the power button, volume rocker, and microSD card slot. On the below section you have the Micro-USB port, headphone jack port, and two speakers. For a clear display, the screen has a 1024 x 768-pixel resolution with an aspect ratio of 4:3. The device works well with text display and playing of videos. The screen superb for drawing up a quick draft and it has an amazing battery life use. The Microsoft Surface Pro 4 has the latest Windows 10 Edition preloaded. The nice thing is that when you buy any of the Pro editions you receive the interactive pen included. The Pro4 works as a laptop and designed for students and artists. With the Pro 4, you can use it as a laptop or a portable tablet. For excellent performance, it has the latest 6th Gen Intel Core m3, i5, and i7 processors in it. The device has an 8GB memory with a 256GB solid-state drive and weighs 1.73 pounds. The 12.3-inch touchscreen is amazing and has a display of 2786 x 1824-pixel resolution with high contrast and low glare. Included you receive the Surface pen to take notes, sign documents and more. The Ugee 1910B Drawing Tablet acts as a second screen when used with your computer screen. You can draw directly on the display screen. The only thing is that it does not have the computing functions when used on its own. Another great thing is the budget price and features the Wacom Cintiq found in other more expensive brands. The Ugee 1910B has a 19-inch drawing area with a TFT panel and resolution of 1440 x 900-pixels. The great thing is that the device supports 2nd monitor and you can use it in duplicate mode with 2048 levels of pressure. The included pen is battery-free with 2048 pressure levels and with one click – you can use it as a pen or eraser. Included it has a stand that is adjustable to different angles. You can use it on your Windows or Mac. No matter what type of student you are from art, architecture, engineering, or for school projects, our selection of the best drawing tablets will suit your needs. Some of them are portable enough to carry around with you. While others present you with dual monitor functionality at affordable prices. Each of the mentioned tablets has received excellent reviews with minor hiccups from different users. So make sure to check each one out and make your selection according to your preferences to suit your budget and needs. You are sure to find one that stands out for all the right reasons when making your selection. 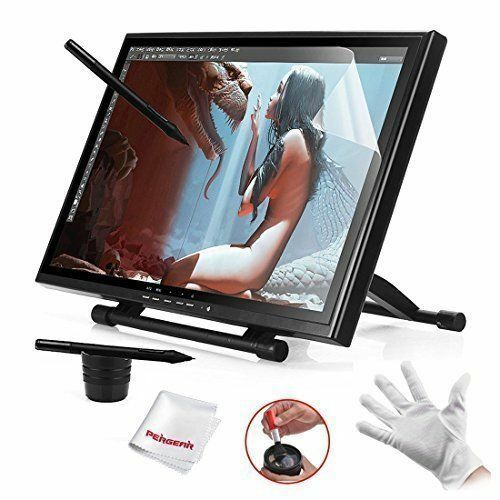 For the Best Drawing Tablet, our Editor’s Choice gives all artists and designers a great affordable selection to create masterpieces of artwork as each one packed with some great features.